For those who don’t believe in packing light, luggage specialists Givi have launched this new top box rack. 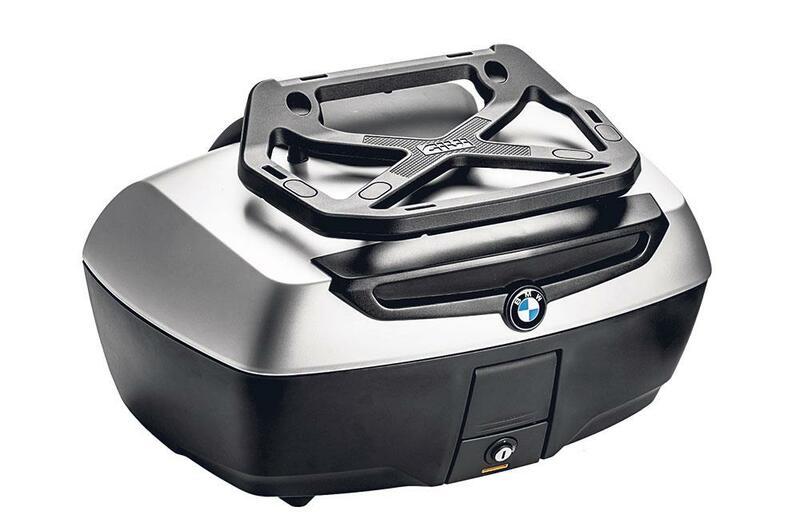 Thanks to its universal fitting kit, the Givi rack will attach securely to any Givi Monokey top box, although Givi also say it will fit safely on to other branded boxes too. Made from lightweight but durable Nylon, the universal top box rack is ideal for strapping on additional luggage via a roll bag or bungee net, and the sleek design ensures that the top box can still be opened with the rack in place.